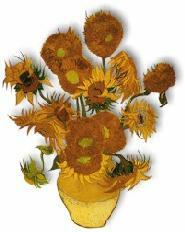 The Vincent van Gogh Gallery first went online back in the summer of 1996. It consisted of one page and two graphics and received about twenty visitors a week. Twenty years later this site has grown to more than 4,000 pages with almost 4,500 images. In early 2005 The Vincent van Gogh Gallery welcomed its ten millionth visitor. It's been an ongoing challenge over the years to maintain this website and, as a result, I'm writing to ask visitors to The Vincent van Gogh Gallery to support these efforts. Over the course of these many years millions of people have enjoyed accessing Vincent van Gogh's complete works and letters within this site (admission is free and the VvGG is open 24 hours a day). In order to support the continuing work involved in maintaining and further developing this website, I would request a donation from those who have appreciated this website. No donation is too small and all are sincerely appreciated. I want to ensure that The Vincent van Gogh Gallery remains open to the art-loving public for many years to come.